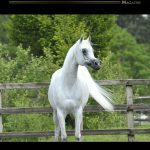 You have very often heard about success and we, too, on the Arabian Horse Magazine team, when having a heart-to-heart with people who share the same passion for the Arabian horse, sometimes do use this word. So, we thought it was important to reflect on what actually ‘success’ means to us trying to define it. Well, first of all, there are some things that success is not ... It's not fame ... It's neither money nor power. Success is waking up in the morning so excited for what you have to do that you cannot wait to leave the house. It's working with people who think like you ...Success is having a contact with the world and giving emotions to others, it is about being able to find a way to unite people who have nothing in common but a dream and go to sleep at night knowing that you have given your best. 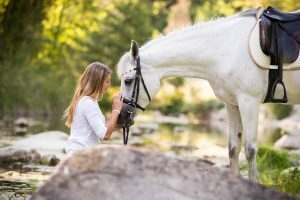 There is one thing that is hardly ever taken into account and that, nevertheless, is the basis of all possible definitions of success: HAVE A PURPOSE IN LIFE. Of course, each of us has their own purpose, their own goal. 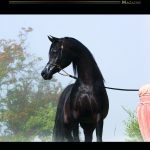 If you start reading the biographies and interviews with stalwart members of the Purebred Arabian breeding industry, be they breeders, judges, handlers and trainers, or you talk to people who are believed to be successful in the business, you will discover that they all have, or have had, a clear-cut goal in life: the Purebred Arabian and the preservation of this wonderful creature over the time. 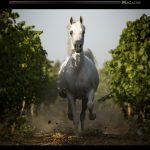 For Arabian Horse Magazine success is a journey, not a destination ... A journey that we started with our readers back in 2004 and that has led us to this day to be among the most renowned and specialized publications in the Purebred Arabian breeding industry across the world, and to have strong partnerships on three continents with those that are considered today’s most important Arabian Horse breeding farms This is no small issue if you consider the turbulence that the Arabian Horse Industry in Europe and also in other parts of the world has been going through in the past fifteen years! 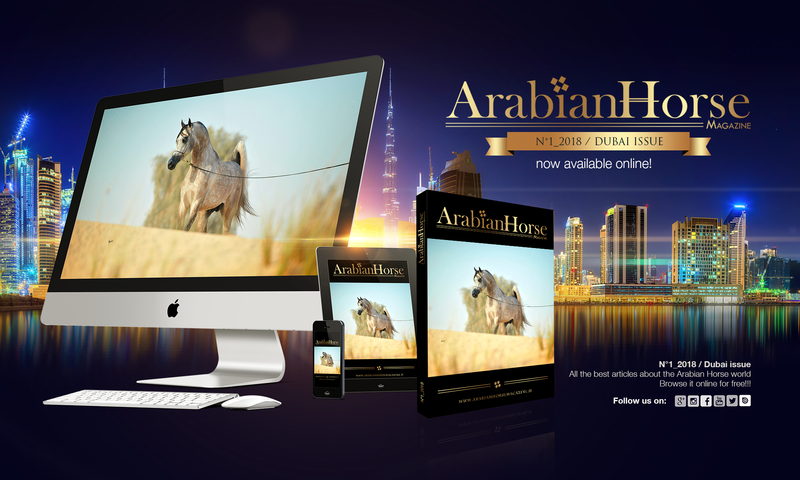 Many are the articles, the desert stories, the pictures, the interviews or advertising pages you will find in this 2018 Dubai edition that are a visible proof of what we said earlier. In all of them, we have put all our efforts, hours of hard work and personal sacrifice that are necessarily part of our ‘journey’, but that only have allowed us to get to present level. It’s better to feel success each day, and grow it, than feeling you are searching for success. Life changes, so think of success as pliable, supple. If you feel overwhelmed with pressure and stress during your ‘journey of success’ you might consider your goal of success as some future destination. That’s the wrong track for you to be on; you may never get there, or run out of gas trying. To be really successful on this journey our first concern shall always be before anything to safeguard our breed through continually revaluating its development in a ‘ethical, respectful manner’. It is our common responsibility and we must all come together to address it.